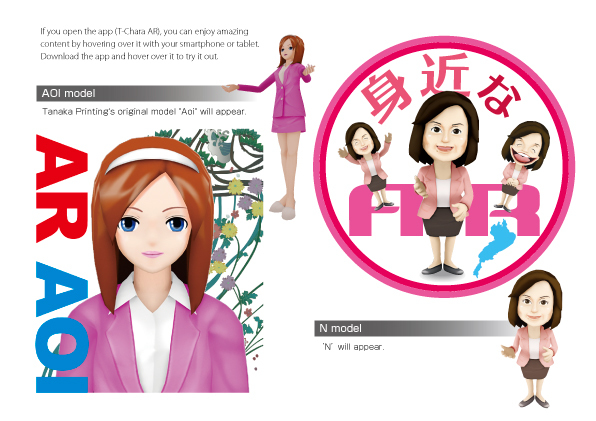 Augmented Reality | Tanaka Printing Co., Ltd.
A virtual world appears right in front of you. Welcome to a mysterious world of surprises and excitement where the real world and the virtual are mixed together. You can rely on us to create characters etc. 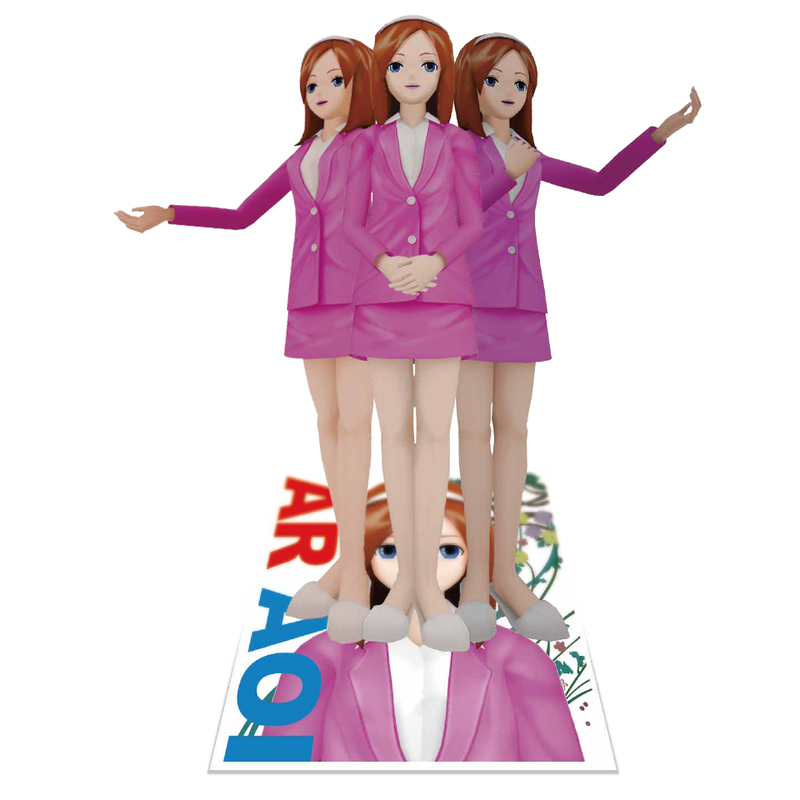 for AR (Augmented Reality). AR is a technology that combines the real world that is seen through the built-in cameras of smartphones and tablets, with a virtual world that includes fictional characters. In addition to characters, it can also display invisible knowledge and information content as well as complementary videos. You can actually experience a sample of the world of AR with this image. 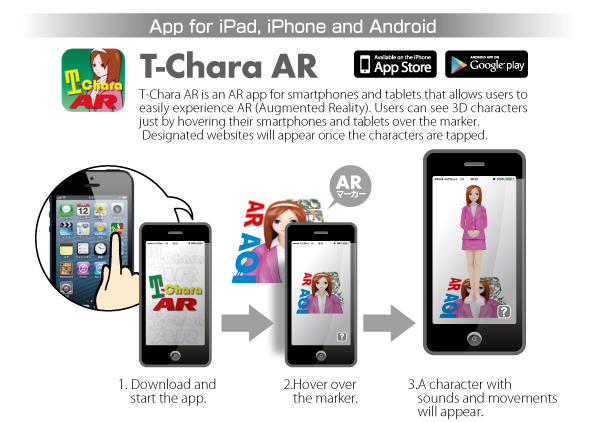 If you open the app (T-Chara AR), you can enjoy amazing content by hovering over it with your smartphone or tablet. Download the app and hover over it to try it out. T-Chara AR is now listed on Appliv. 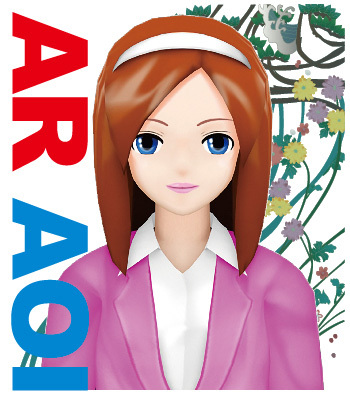 “Aoi,” an original character of Tanaka Printing Co., Ltd., makes her AR debut! Download the app and enjoy the experience. Go to the catalog download page.